Sleep – how I miss thee. A full nights sleep has become a distant memory for me. Coffee has become my best friend. Life with a teething four-month old and an energetic four-year old lends to little rest. It would be safe to say that I’ve been a little run down lately! Therefore, I thought I’d prepare something delicious and nutrient rich to help keep me and my family healthy and energized. Khorest-e Esfanaj is the perfect remedy to exhaustion. 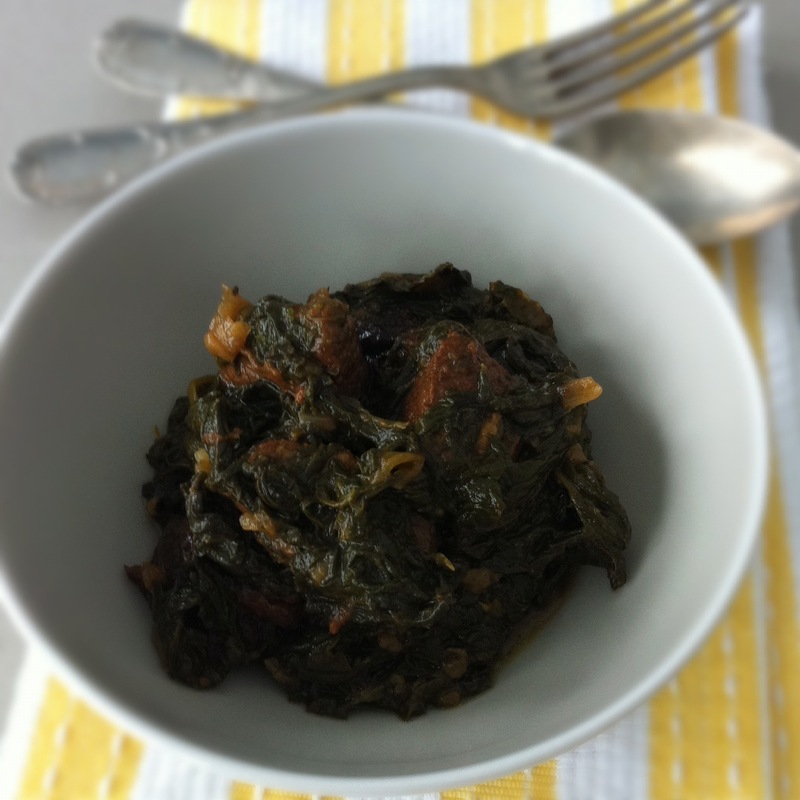 A nourishing stew of braised beef with spinach, golden onions, and dried plums, this dish is loaded with protein, iron, B vitamins, zinc, vitamin K, vitamin C, vitamin A and fibre. 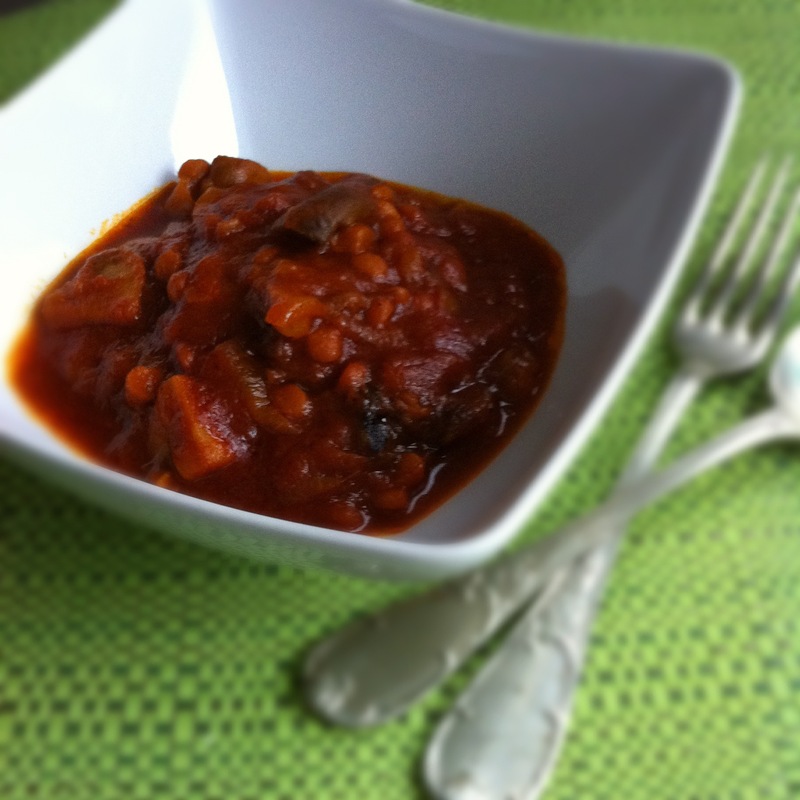 This stew could be the next best thing to a double shot of espresso in keeping your energy up! 1 1/2 lbs fresh spinach (approx 4 bags), washed, well dried and coarsely chopped or torn. In a large pot (or Dutch Oven), heat the canola oil over medium heat. 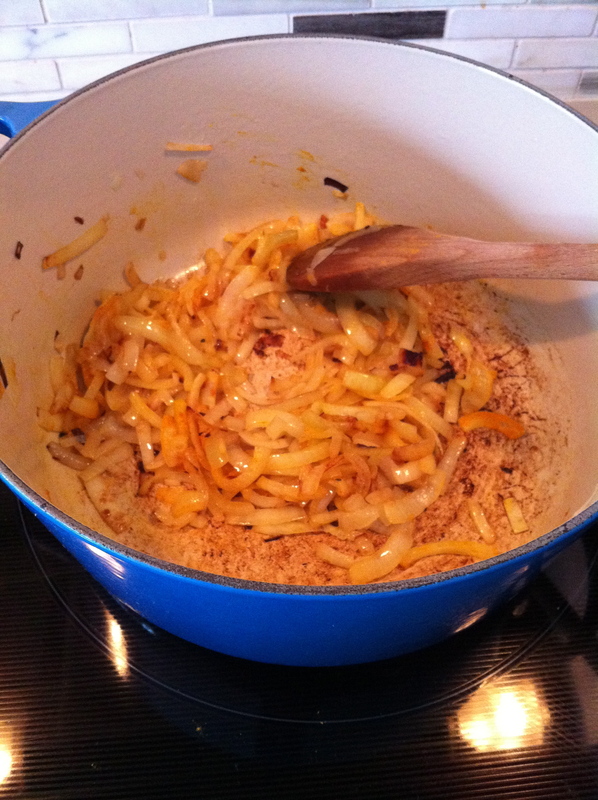 Fry the onions, stirring occasionally until soft and golden, about 10 minutes. Add the turmeric and fry for another minute. 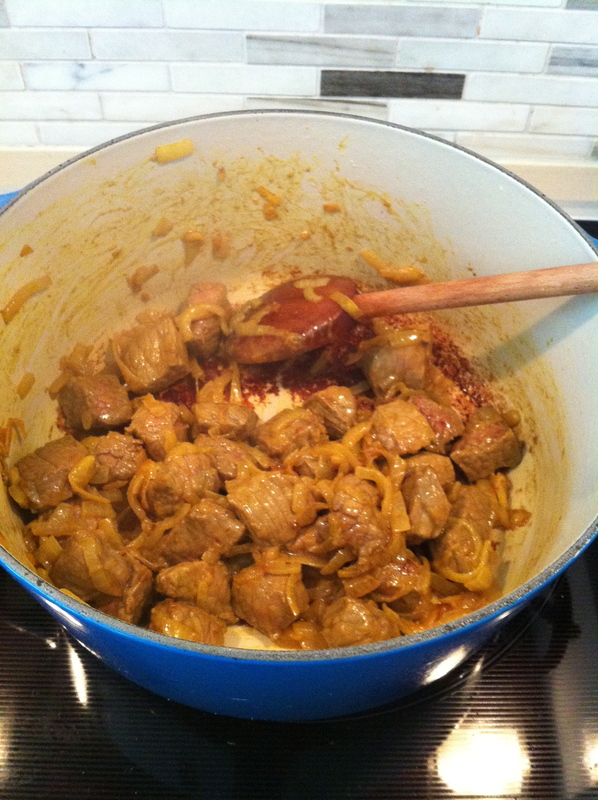 Turn the heat up slightly to medium-high and add the beef to the pot. Brown the beef well on all sides, about 5-10 minutes. 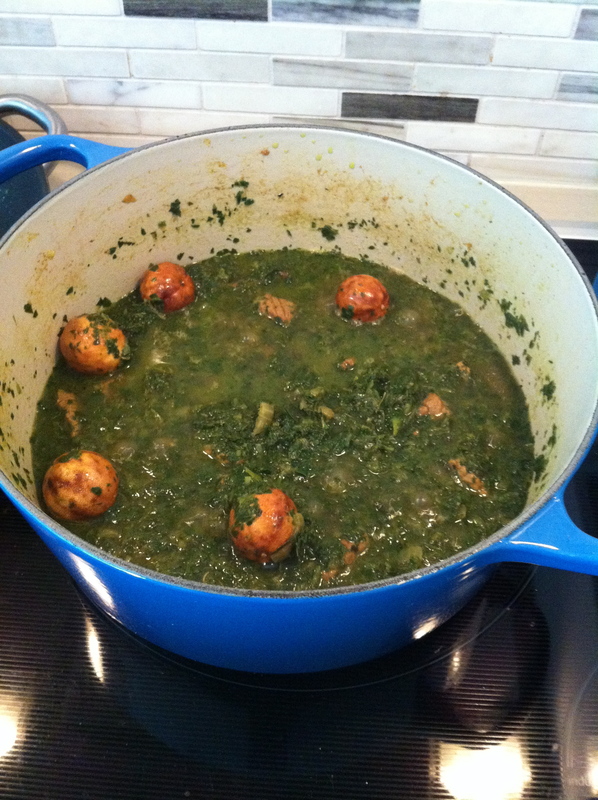 Add the spinach and chives to the pot (you might have to add the spinach in batches until it wilts down). 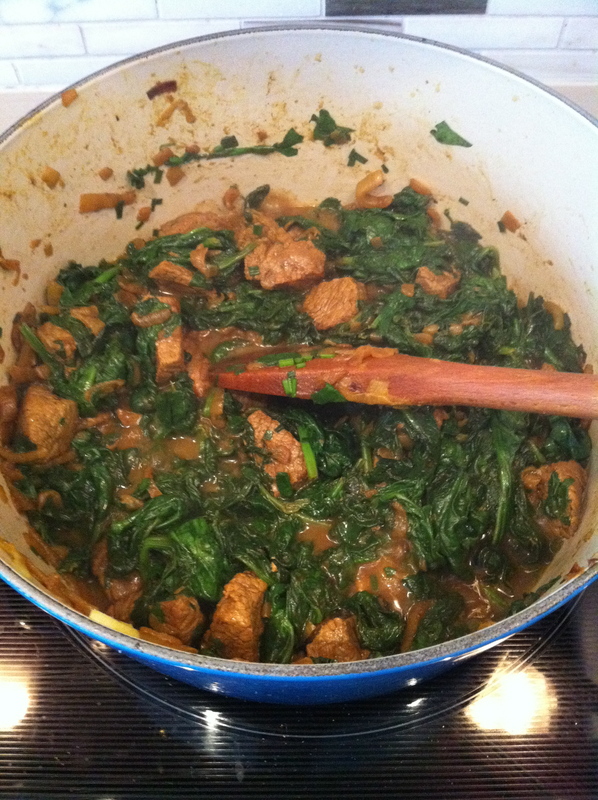 Cook for about 5-10 minutes until all the spinach is wilted. 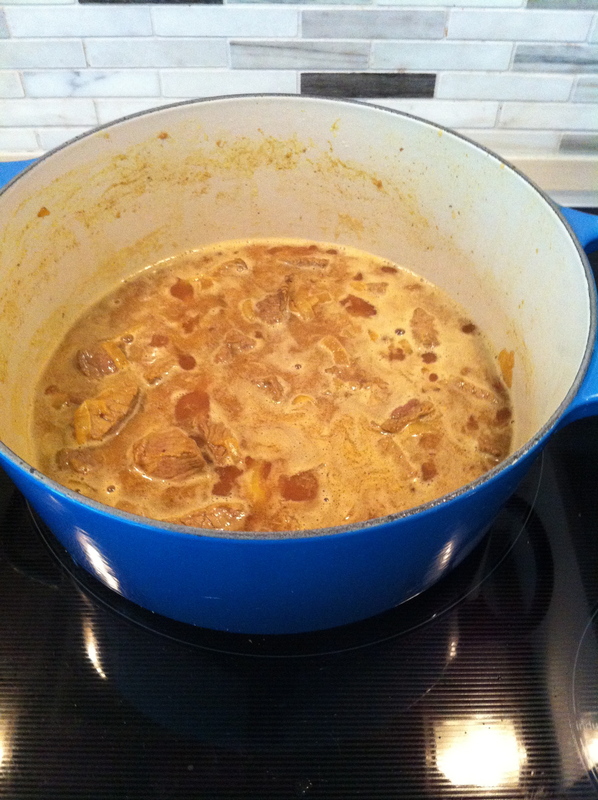 Add the chicken broth, lime juice, prunes, 1 tsp of salt and 1/2 tsp pepper. Bring to a boil and then turn down the heat to low. Cover and simmer for 2 hours, stirring occasionally. Taste and adjust seasoning if necessary. A couple of years ago I flirted with veganism. I had started seeing a holistic nutritionist and she suggested a wheat-free vegan diet. 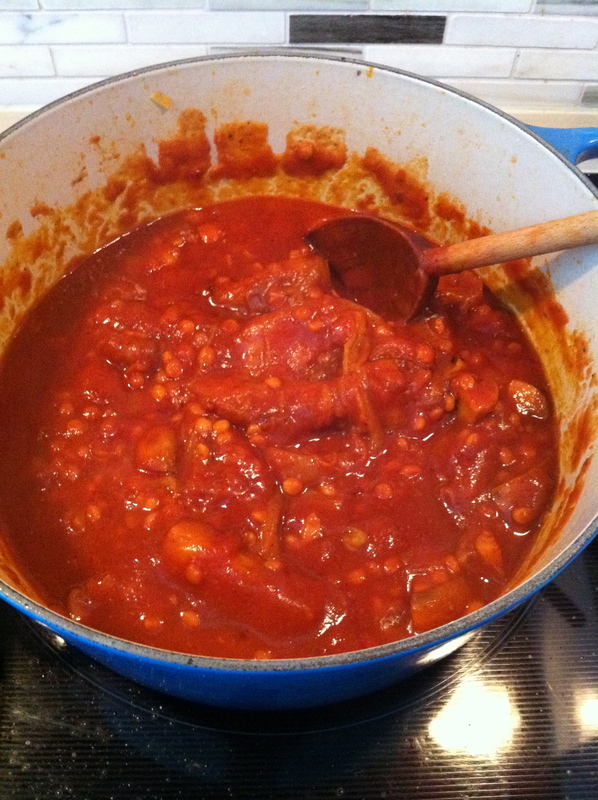 Needless to say it didn’t last long…….I missed lamb chops and spaghetti bolognese way too much! But, it did instil in me a respect and appreciation for meat-free cooking and I must admit it was the healthiest I have ever felt. My mother taught me this vegan version of Khorest-e Ghaimeh Bademjan years ago when I was having a vegan friend over for lunch and was at a loss as to what to prepare. Rich and nourishing, this stew combines caramelized onions, eggplant, mushrooms, yellow split peas and aromatic spices in a silky tomato sauce. Khorest-e Ghaimeh Bademjan is so delicious and hearty that I can guarantee you won’t miss the meat! 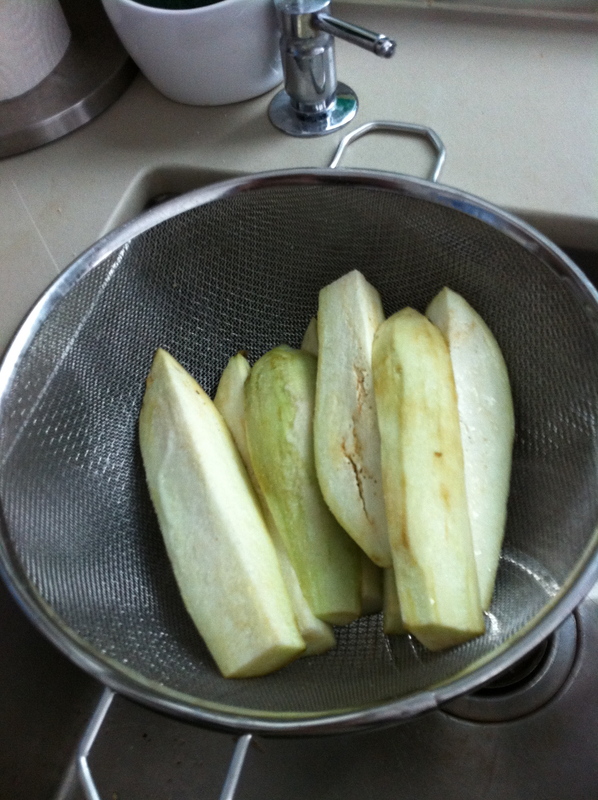 Cut the top off the eggplant, peel them and quarter them (if using Japanese eggplant just half them). Put them in a colander and liberally sprinkle salt on them to remove any bitterness. Leave them for 30 minutes – 1 hour. Meanwhile, in a large pot (or Dutch Oven), heat the canola oil over medium heat. Fry the onions, stirring occasionally until soft and golden, about 10 minutes. 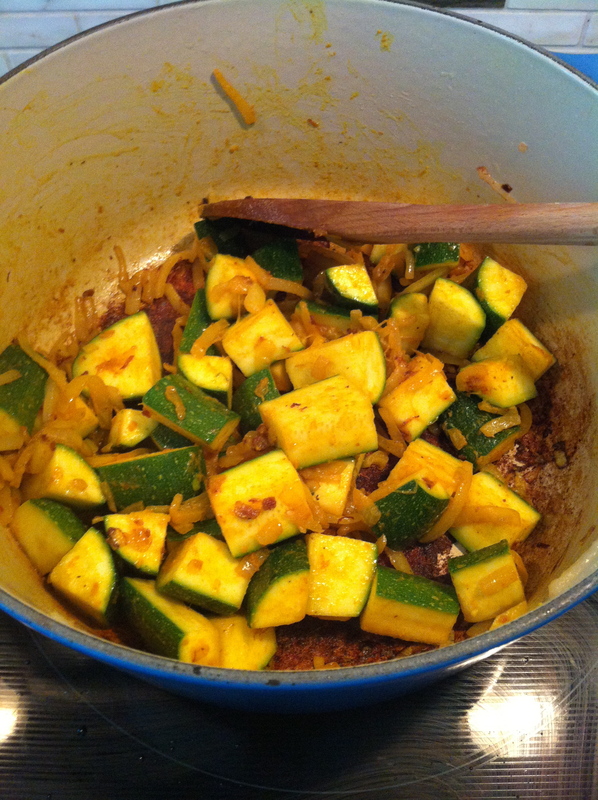 Add the turmeric and fry for another minute. 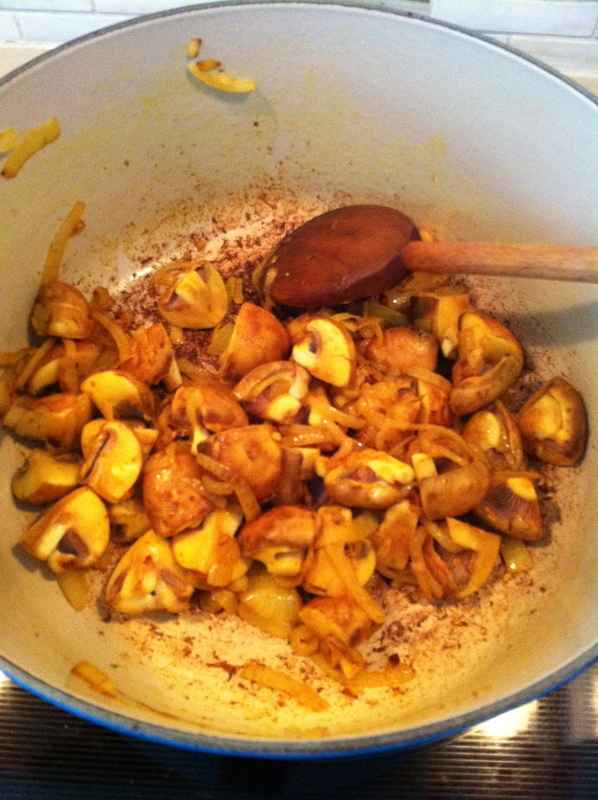 Add mushrooms and fry for about 5 minutes until starting to brown. 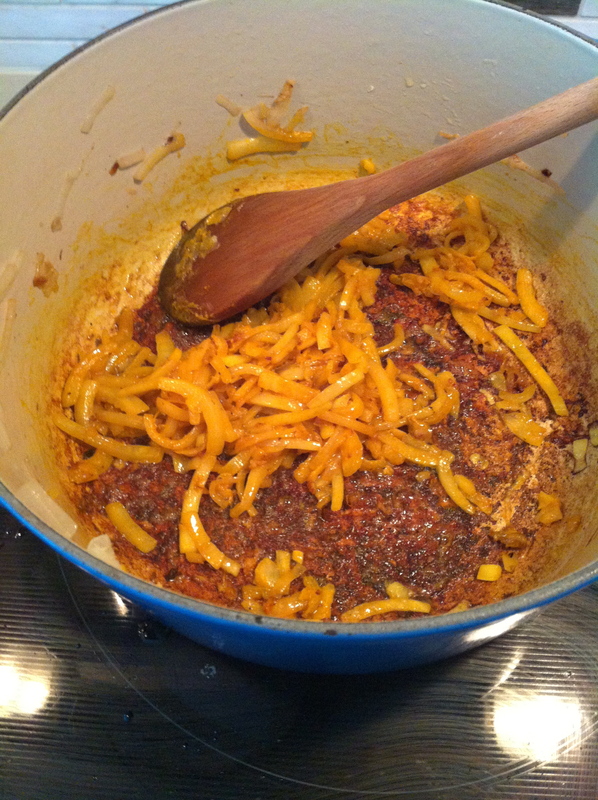 Add the tomato paste and fry for one minute. Add the vegetable broth, the split peas, the lime juice and the saffron water. Cover and bring to a gentle boil. When boiling turn the heat down to low and simmer for 15 minutes. Rinse the salt off of the eggplant and pat dry. 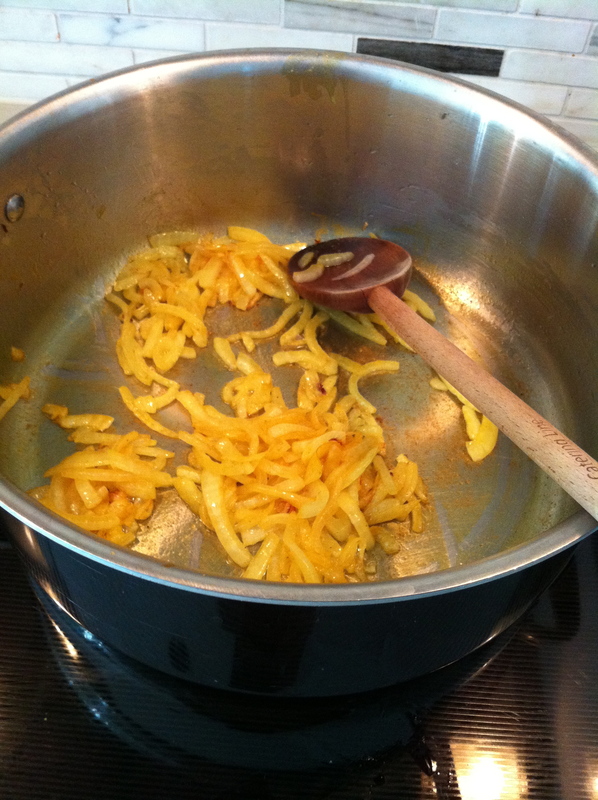 In a separate non-stick frying pan, heat about 1/4 canola oil over medium-high heat. 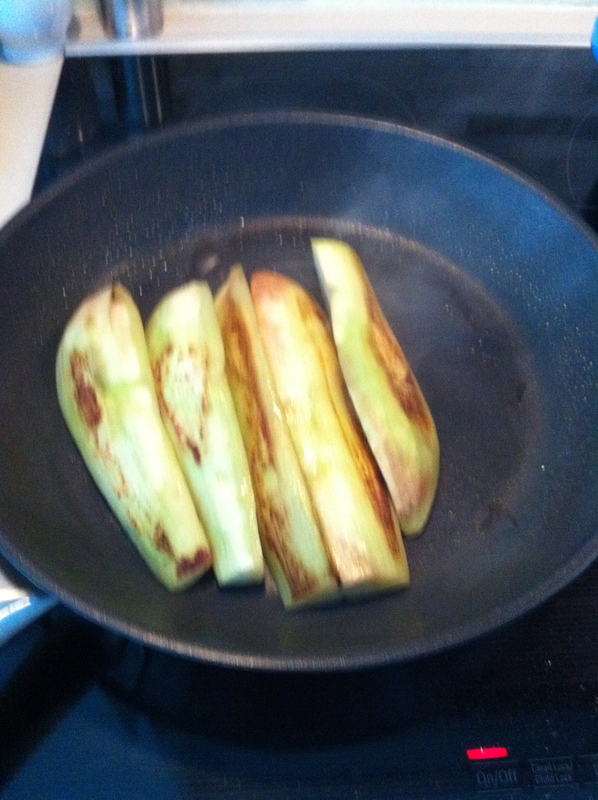 Fry the eggplant in batches until browned on all sides (about 2-3 minutes per side). Add more oil if necessary as the eggplant will absorb it. Add the eggplant to the stew and simmer for another hour to hour and a half or until the split peas and eggplant are tender. When ready, taste and season with salt, pepper and more lime juice if necessary. If someone were to ask me what my favourite Persian dish is, I would answer without hesitation. 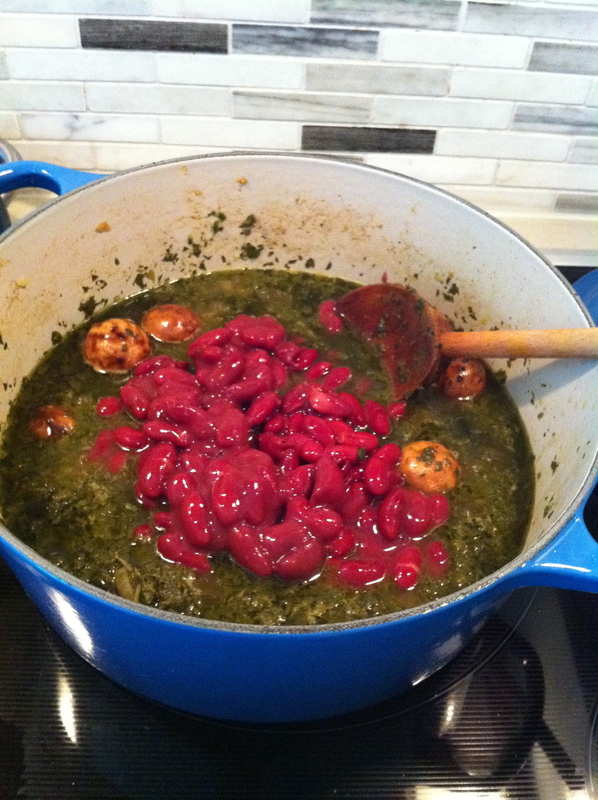 Hands down, no question about it, my absolute most beloved dish is Ghormeh Sabzi. I could probably eat it every day for the rest of my life and be happy! In fact, I think if you polled Iranians in general, I’d say at least 90 percent would say it is their favourite too. Ghormeh Sabzi to me is the quintessential Persian dish – savoury, aromatic and possessing a “je ne sais quoi” that makes it extraordinarily delicious. It can be argued that it is Iran’s unofficial national dish. 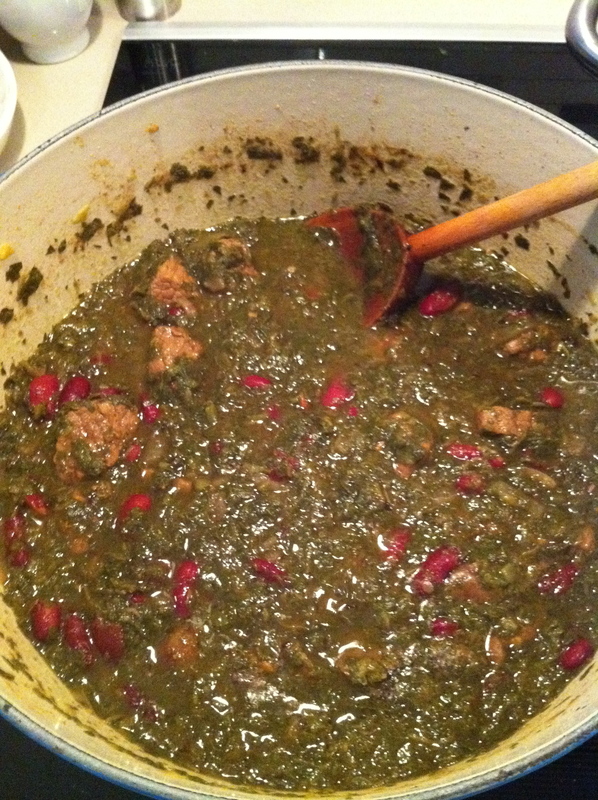 Ghormeh Sabzi is a slow simmered stew of braised meat, fragrant herbs, tender beans and tangy dried Persian limes. In this recipe I used Italian flat leaf parsley and green onions but others sometimes include cilantro and other herbs as well. But what I think gives Ghormeh Sabzi its unique flavour is the fenugreek. Here’s a little secret though if you are not in the mood for all the herb cleaning and chopping – many Persian supermarkets carry pre-chopped herbs for Ghormeh Sabzi in their freezer section or you can even buy them in a can. 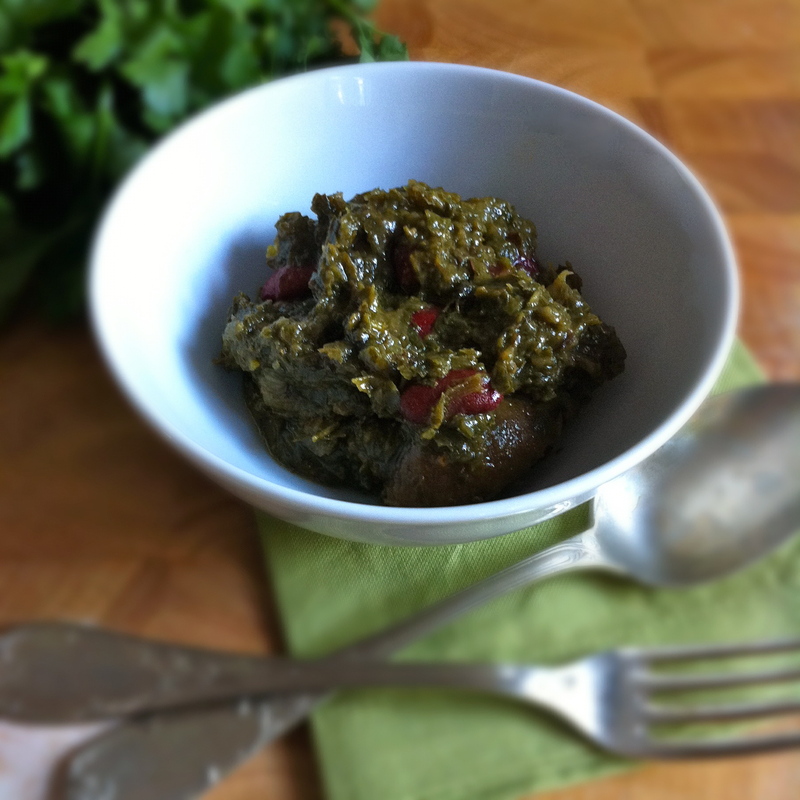 Like many stews, the longer Ghormeh Sabzi simmers the more delicious it is. 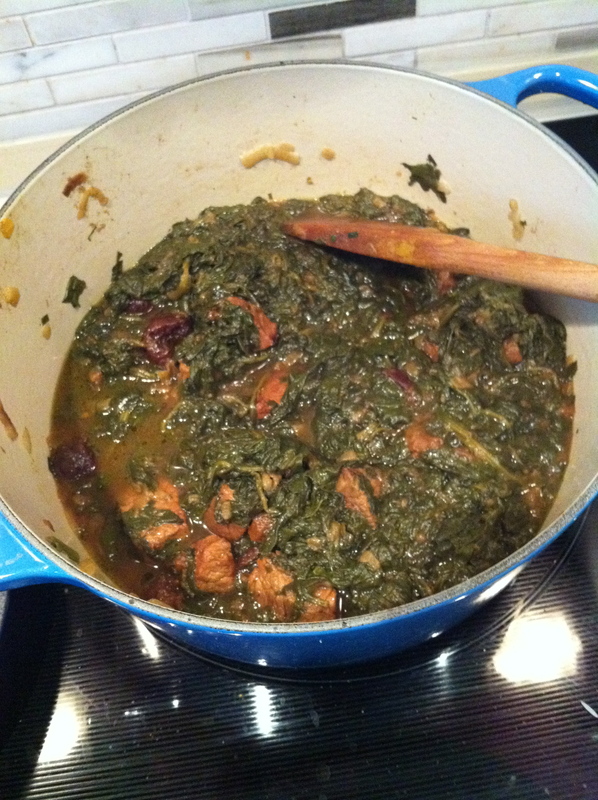 In fact, Ghormeh Sabzi tastes best the next day when all the flavours have had a chance to marry and meld. In a large pot (or Dutch Oven), heat 3 tbsp of canola oil over medium heat. Fry the onions, stirring occasionally until soft and golden, about 10 minutes. Add the turmeric and fry for another minute. 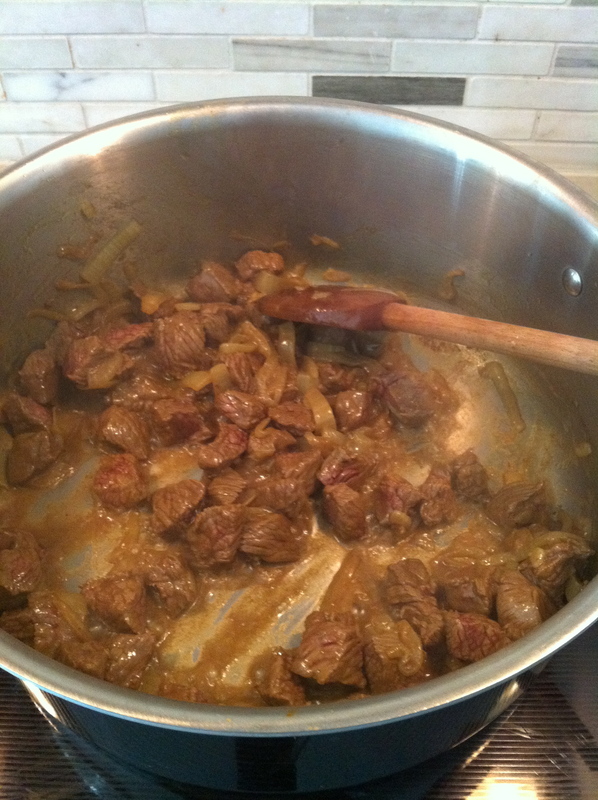 Turn the heat up slightly to medium-high and add the beef to the pot. Brown the beef well on all sides, about 5-10 minutes. Add the chicken stock and bring to a light boil. When simmering, turn the heat down to low. 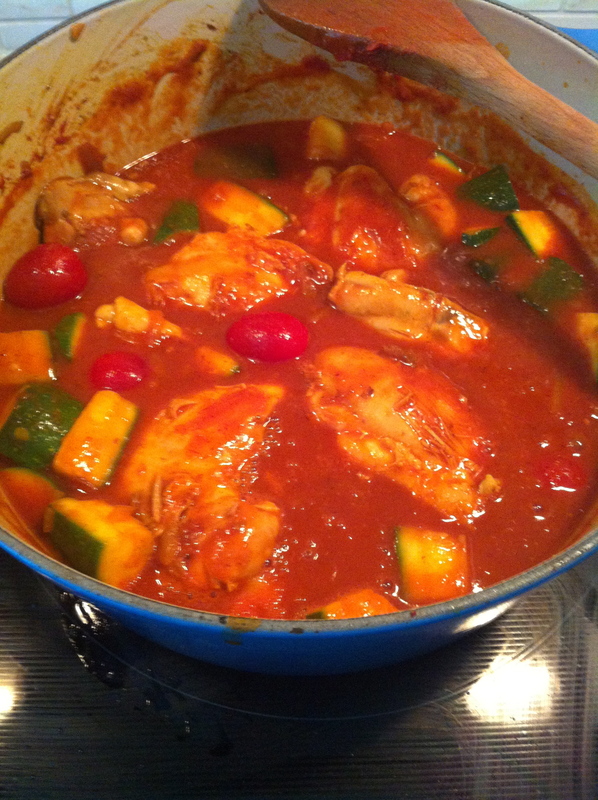 Cover and simmer for 30 minutes. 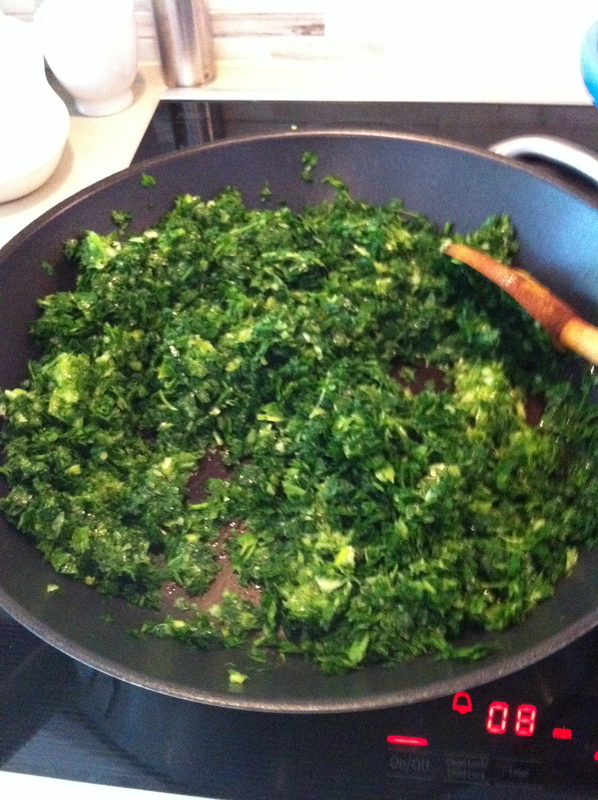 Meanwhile, wash, dry and finely chop the parsley (remove the stems) and green onions. You may chop them with a knife but I highly suggest chopping in a food processor to make your life a lot easier! Heat 1/2 cup of canola oil over medium heat. When the oil is heated add the chopped green onion and parsley. Fry for about 15-20 minutes, stirring frequently. When the beef is finished simmering, add the chopped fried herbs, dried fenugreek, dried Persian limes, lime juice, 2 tsp salt and 1/2 tsp pepper. Bring to a boil and then turn down to a simmer on low heat. Cover and let simmer for 1 1/2 hours, stirring occasionally. Add the drained kidney beans and using the back of a wooden spoon press down on the Persian limes so they release some of their juices. Continue to simmer for a minimum of 30 minutes. 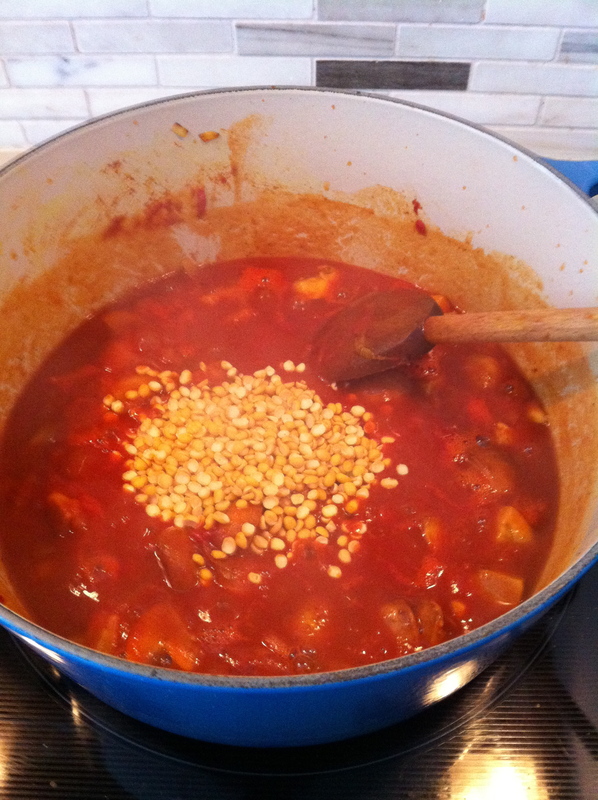 The longer the stew simmers the tastier it will be! Taste and add more salt, pepper or lime juice if necessary. Serve with steamed basmati rice. Enjoy! *You can buy dried fenugreek at Middle Eastern Specialty stores as well as South Asian supermarkets. Over a decade ago I was taking the train from Montreal to Toronto to return home for Thanksgiving from University. I sat with my younger brother and his new friend, who was also Persian. It was exciting to meet someone Persian as I didn’t have any Iranian friends at school. We spent what seemed like the entire four hour train ride talking about, what else: food. We were comparing our favourite Persian dishes and what food we missed most from home. He told me that his absolute favourite was Khorest-e Loobia. My brother and I were perplexed…….we had never heard of it. My mother made Loobia Polo (rice with beef and green beans) but never Khorest-e Loobia. Our fellow traveller was outraged and insisted that we had to try it. I asked my mom and she said it wasn’t a dish she grew up with, so I combed through recipe books until I found one for this delicious stew. Over the years I have made this dish many times and over time I have adapted and changed the recipe to suit my own palate. 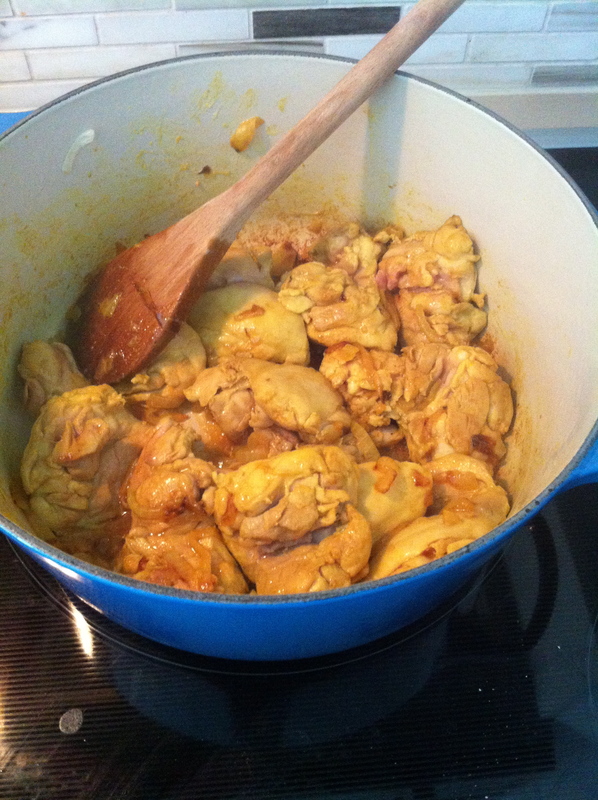 It’s exciting to make my family a Persian dish that my mother did not cook. 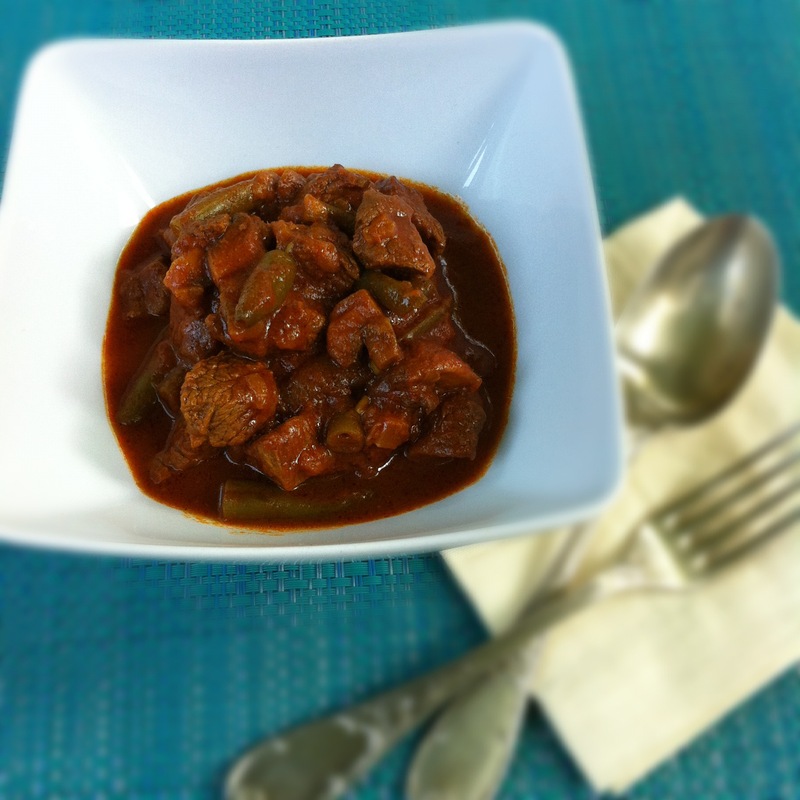 If you like Loobia Polo you will love Khorest-e Loobia – a luscious stew of braised beef and tender green beans in a rich aromatic tomato sauce. 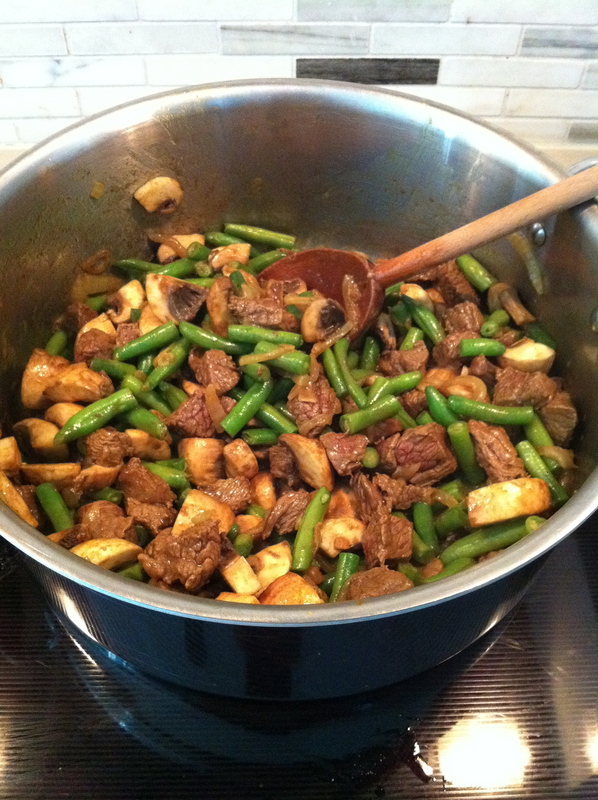 I add mushrooms to my stew because my mother adds it to her Loobia Polo and I love the combination of the beef and green beans with the mushrooms, but you may omit them if you wish. In a large pot (or Dutch Oven), heat canola oil over medium heat. 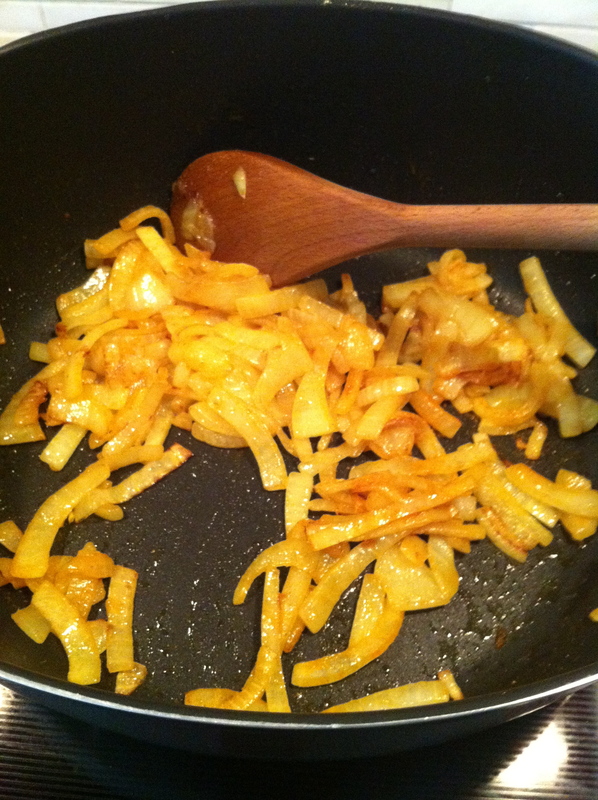 Fry the onions, stirring occasionally until soft and golden, about 10 minutes. Add the turmeric and fry for another minute. 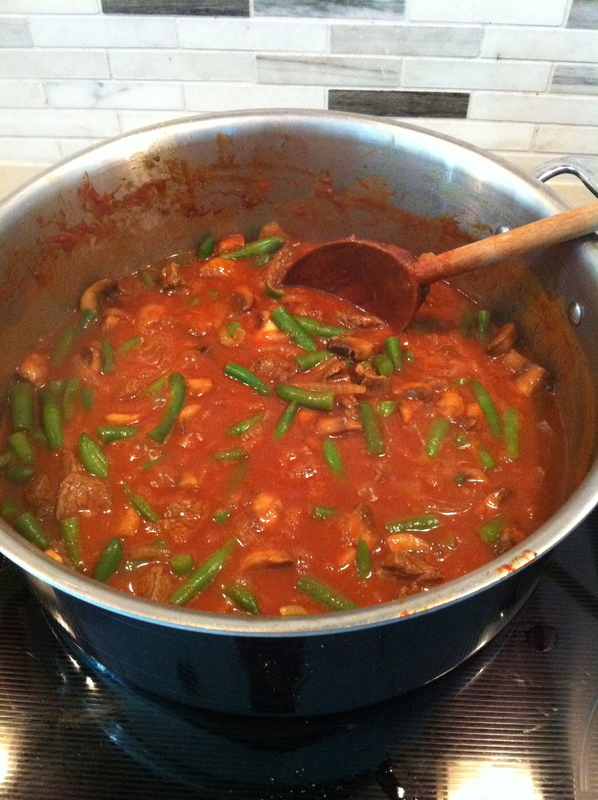 Turn the heat up to medium-high and add the stewing beef. Saute the beef for five minutes until browned. 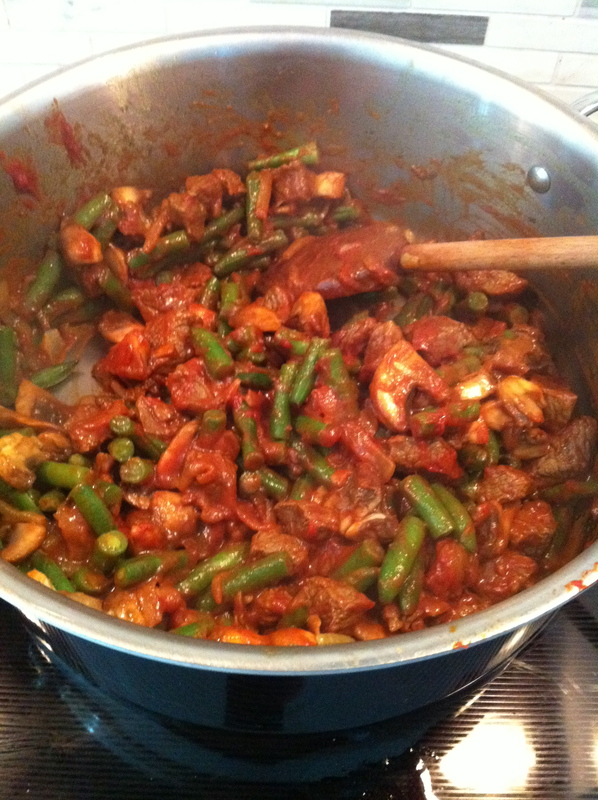 Add the green beans and mushrooms. Fry for one minute. 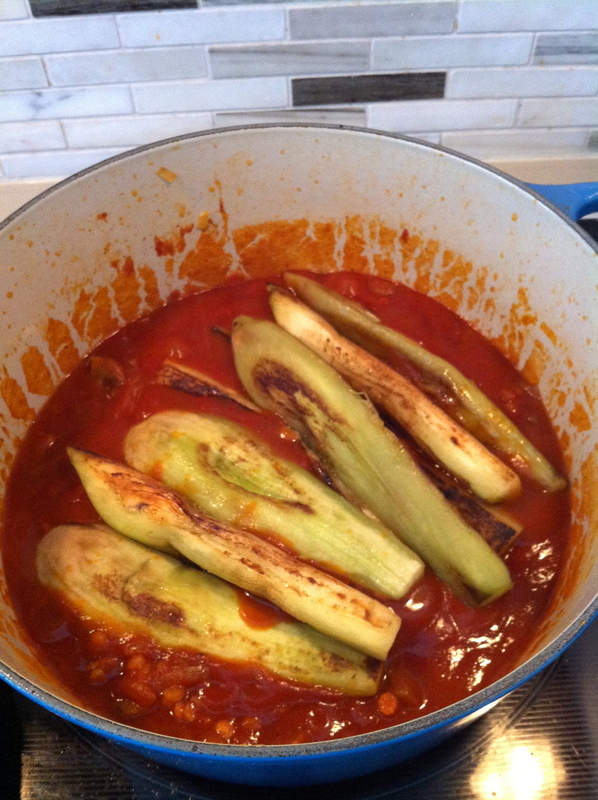 Add the tomato paste and fry for two minutes. 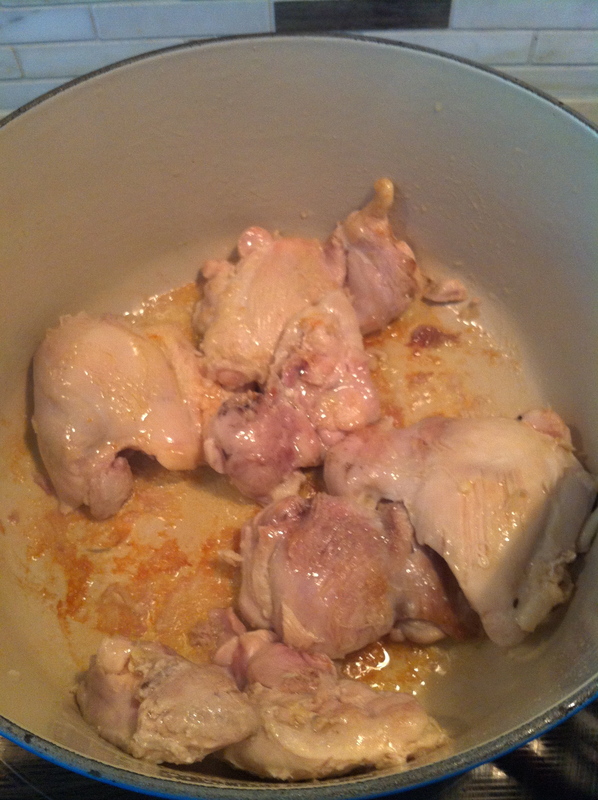 Add the chicken broth, cinnamon, cumin, lime juice, saffron water, 1/2 tsp ground pepper and 1 tbsp salt. Bring to a boil and then turn down to medium low heat. Cover and simmer for 1 1/2 to 2 hours, stirring occasionally. Taste and add more salt and pepper if necessary. Serve with steamed basmati rice. Enjoy! * I prefer using fresh green beans but you may also use frozen. A few weeks ago I wasn’t feeling well and was in no mood to cook for my family. So my mother brought over dinner for us. 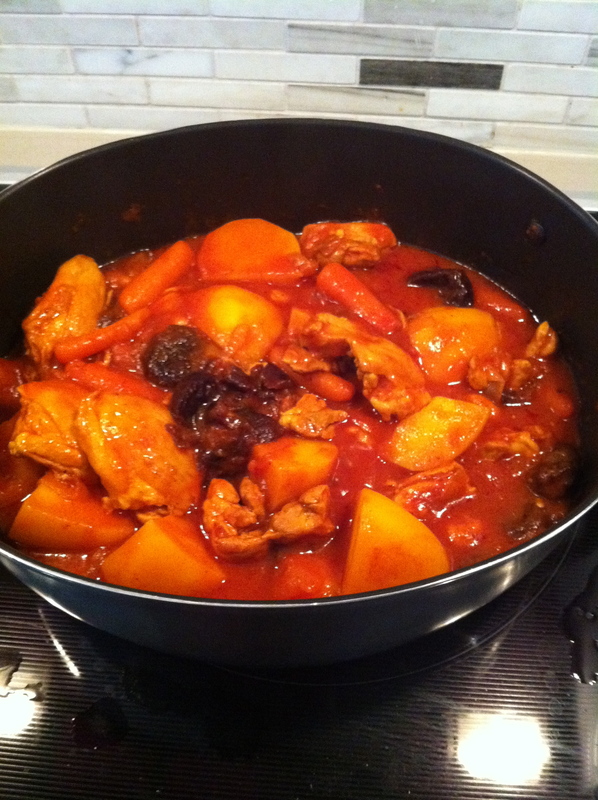 She made us this delicious Chicken and Dried Plum Stew. I immediately knew that I wanted to feature this dish. 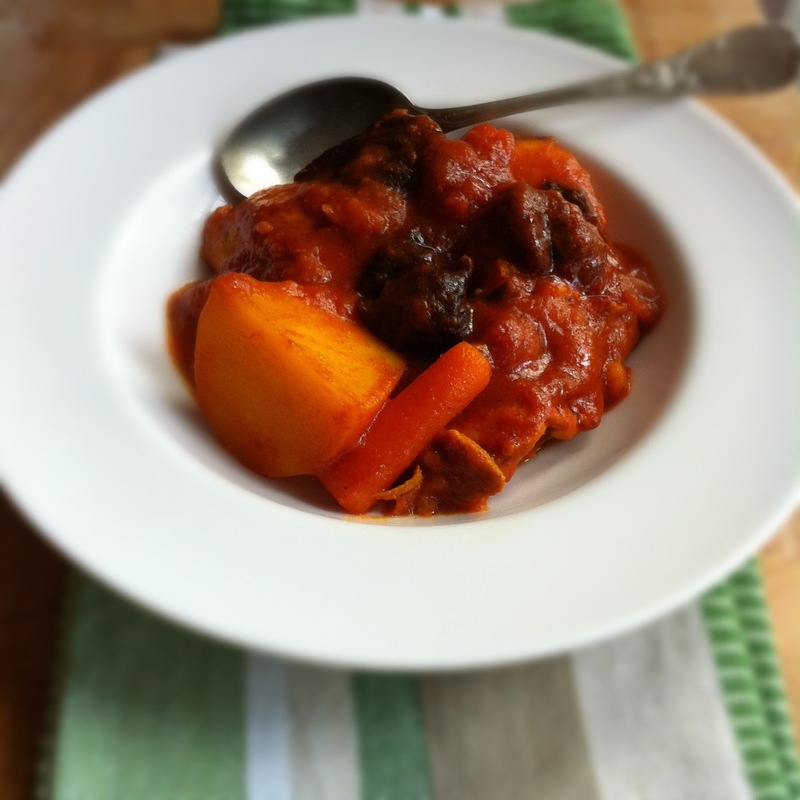 This slightly sweet, slightly sour stew is not only tasty but so easy to make. Morgh o Aloo, to me, is the perfect family dinner. It is incredibly nutritious and balanced – protein, carbohydrates, vegetables and fruit. 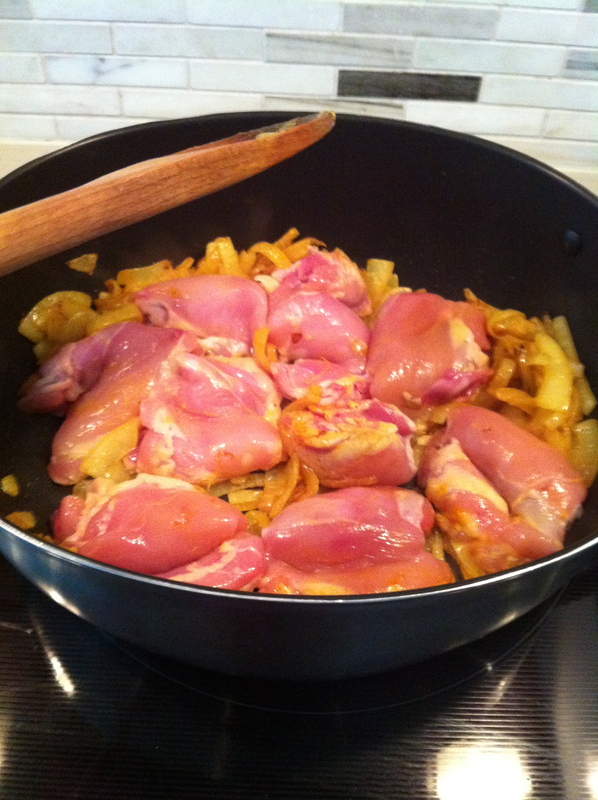 But more importantly it is a very easy one pot meal to prepare. One pot meals are a Godsend to the home cook. 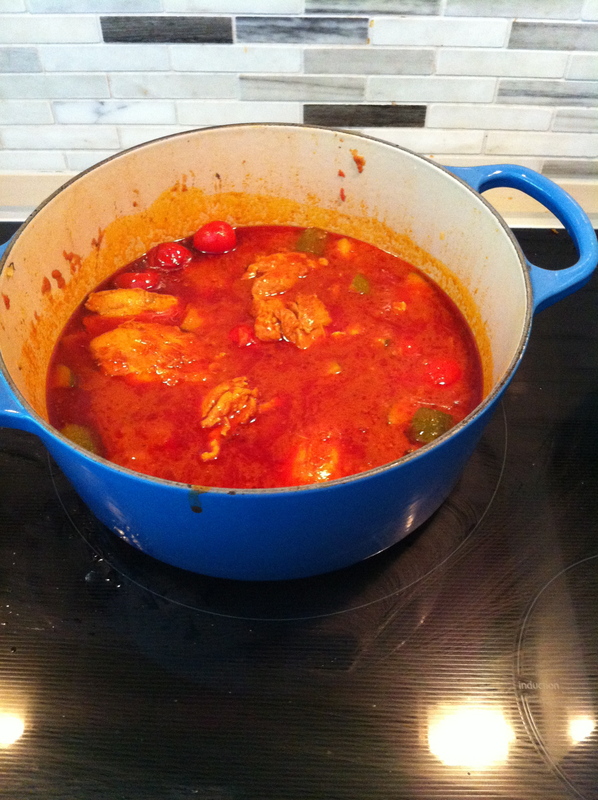 Simple to prepare and best of all, little clean-up…….just one pot! 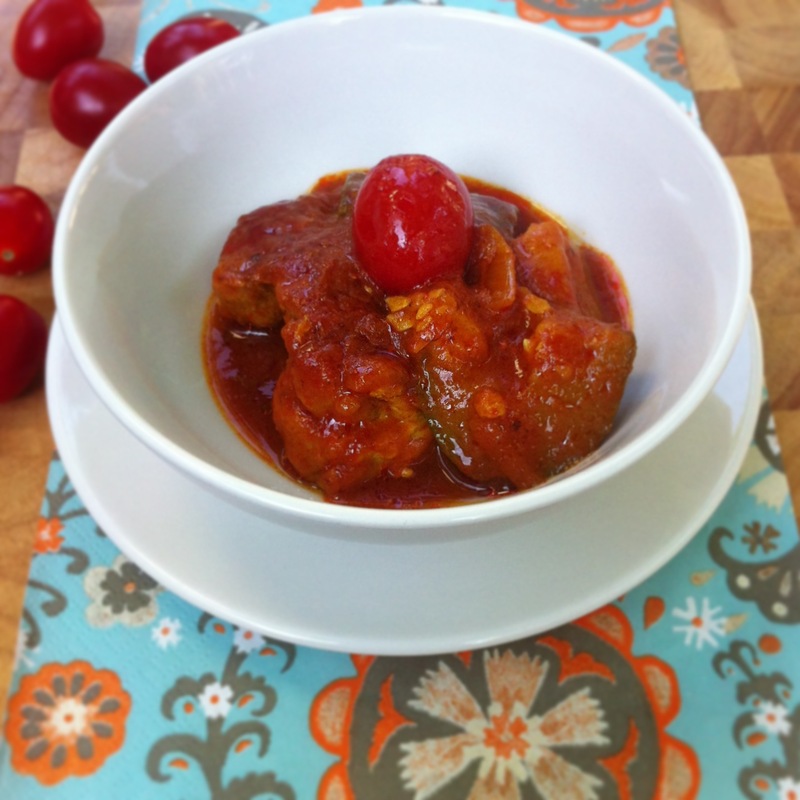 This stew is a dish that can be prepped and cooked in about an hour…..and most of that is just letting it simmer. 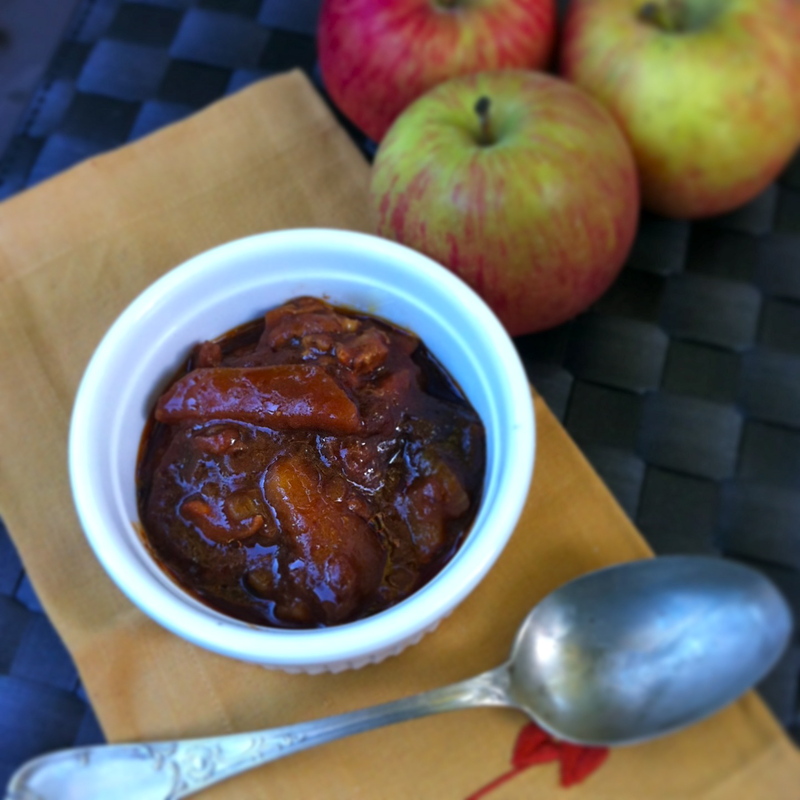 The dried plums add a wonderful sweetness to this dish, while the tomato and lime juice add acidity. Like most Persian cuisine, it’s about perfect balance. Another option for this dish is to leave out the potatoes and serve it over rice, couscous or quinoa. Any way you serve it I’m sure you’ll find it delicious! In a large pot heat the oil over medium-high heat. 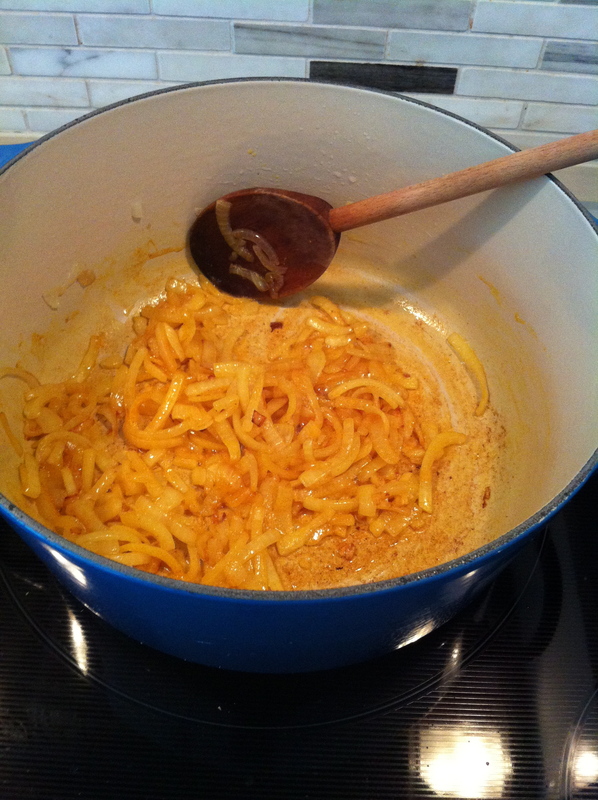 Fry the onions, stirring frequently, for about 7-8 minutes until starting to get golden. Add the turmeric and fry for another minute. 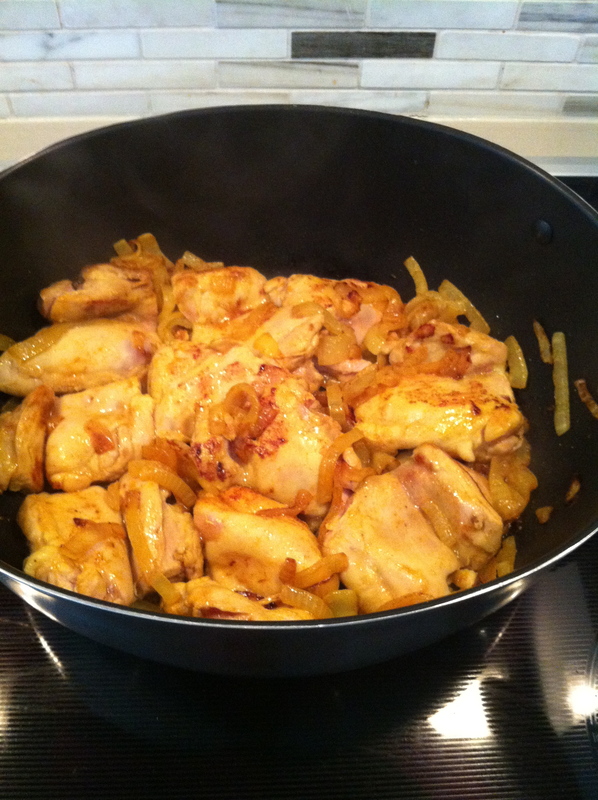 Add the chicken thighs to the pan (if your pot is not non-stick add another tbsp of oil before adding the chicken). Brown the chicken for about 1-2 minutes per side. 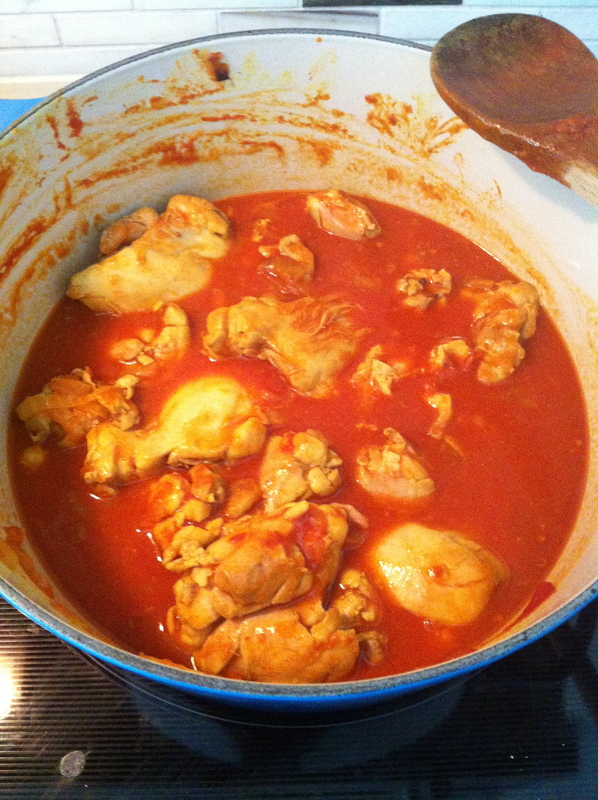 Add the tomato paste to the chicken and stir. Fry for about one minute. Add the chicken broth and bring to a light boil. 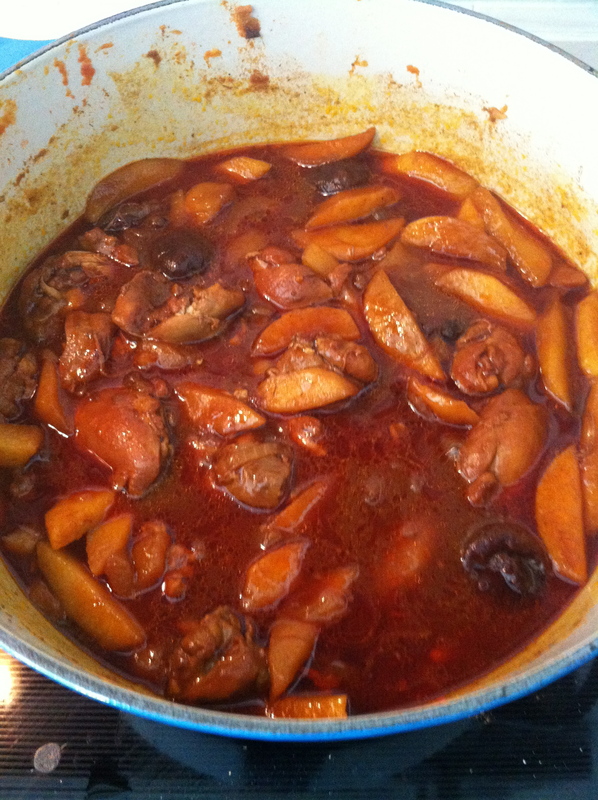 Then add the potatoes, dried plums, carrots, saffron water and lime juice. Stir. Bring to a light boil, and turn down to a simmer over medium-low heat. 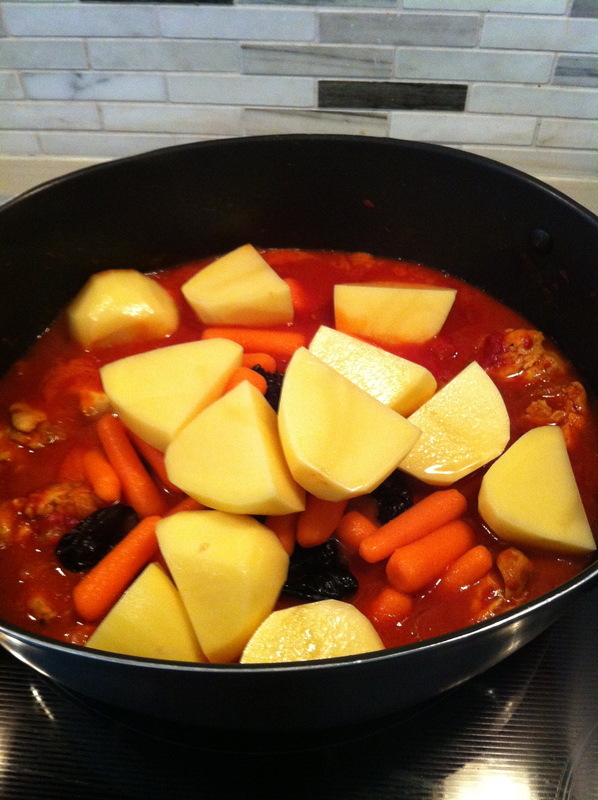 Cover and simmer for 40-50 minutes until potatoes are tender. Taste and add salt and pepper if needed. Enjoy!